Your inquiry has been forwarded to Edward Lawrence Funeral Home. Dorita G. Zinna, of Darien, CT, passed away on November 13, 2018. 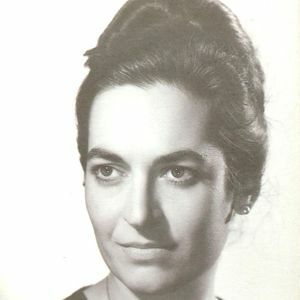 Born on August 19, 1931, in Buenos Aires, Argentina, Dorita received a degree in Education and pursued a career in teaching in her twenties. Fluent in English, Spanish and Italian, her love of languages led her to a job as a translator for Melati, an international business firm in Buenos Aires. In 1960, Dorita met the love of her life, Joseph A. Zinna. They married on July 11, 1963 and Dorita moved to the United States to begin her life with Joseph in New York City. Together, they had two children, traveled the world and met many lifelong friends. In 1977, Dorita, Joseph, and their two children, Patrick and Gabriella, moved to Dubai, UAE, for his career as Vice President and General Counsel to Dubai Petroleum Company. The family resided in Dubai until Joseph retired in 1987. Dorita and Joseph returned to the U.S. and settled in Darien, CT where they remained, happily for the rest of their lives. Dorita's charm and kindness were known to many around Darien. She had a deep love for the Darien Library and maintained friendships with some of its staff. She was a supporter of the Darien Police Department, and the Darien Library through yearly donations and was always willing to help those in need. Dorita had a lifelong love of animals and she supported many animal rescue groups. She had a special affection for Persian cats and loved showing photos of her beloved BooBoo to all her friends. Dorita loved to cook for friends and family and was a very skilled baker. She collected cook books from around the world and enjoyed trying new recipes. She loved celebrating birthdays by baking beautiful cakes for loved ones and often sent her signature cakes to friends and family who lived far away. She had a flair for the written and spoken word and loved keeping in touch through letter writing and long phone calls with loved ones around the world. Dorita is preceded in death by her husband, Joseph A. Zinna (1993), and her son, Patrick A. Zinna (2018). She is survived by her daughter, Gabriella Zinna-Garcia, her son-in-law, Alex Garcia, and her grandsons, Marcelo and Stefan. Graveside service will be held on Tuesday, November 20, 2018 at 10:00am, at Spring Grove Cemetery. In lieu of flowers, donations may be made to the Darien Library, 1441 Post Road, Darien, CT 06820 and Darien EMS Post 53, P. O. Box 2066, Darien, CT 06820. The beautiful and interactive Eternal Tribute tells Dorita's life story the way it deserves to be told in words, pictures and video.